Coated Inkjet Plotter Paper 120gsm. Premium coated plot paper to print at high resolution of up to 1..
HP Q1412B Universal Heavyweight coated plotter paper 120gsm. For high quality, full colour graphic i..
Canon 5922A-24 matt coated plotter paper 120gsm. A non-reflective matt coated paper for intense colo.. Coated Inkjet Plotter Paper 120gsm is a heavier paper suited for the HP Designjet T120. Premium coat..
HP T520 Coated Inkjet Plotter Paper 120gsm. Premium coated plot paper to print at high resolution of..
HP Z2600 Coated Inkjet Plotter Paper 120gsm. 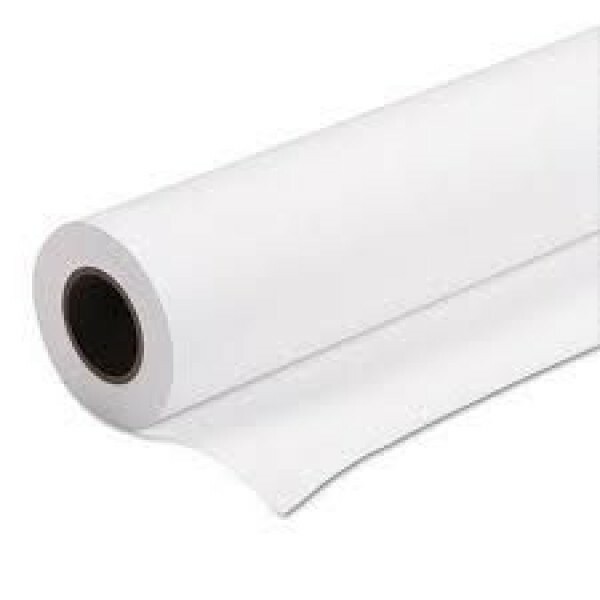 Premium coated plot paper to print at high resolution o.. Coated Inkjet Plotter Paper 120gsm suitable for Canon iPF670 Printer. Premium coated plot paper to p.. Coated Inkjet Plotter Paper 120gsm suitable for Canon TM-200 & TM-205 Printer. Premium coated pl.. Coated Inkjet Plotter Paper 120gsm suitable for HP Designjet Z6 & Z9+ Printer. Premium coated pl.. Smooth white premium matt coated 100gsm inkjet paper is ideal for CAD presentation work, technical drawings, GIS maps and short term display work.This paper is fast drying and waterproof when using pigment inks. Compatible with all dye & pigment wide format inkjet printers. We hold large stocks of paper in rolls and sheets for immediate next day delivery. If you`re not sure what product is right for you? We are here to help so call us 01296 393700 and our knowledgeable, friendly sales team can help you select the right product for your application. Coated Inkjet Plotter Paper 100gsm suitable for Canon TM-200 & TM-205 Printer. Premium coated inkjet plot paper. Excellent colour resolution with higher ink loads to produce presentation quality prints with vivid colours and superb colour contrast for impressive image quality. For use with any dye or pigment wide format inkjet printer including HP, Canon, Oce and Epson.